I stopped her. “What does that mean?” I asked. She replied “Well, basically we are sending child soldiers home to their families.” That second phrase was so much more powerful. This illustrates a surprising pitfall to be aware of when giving any type of pitch, talk, or presentation: although you may be speaking in English just like your audience, you may nonetheless be speaking an entirely different language. In this case, my client was addressing individual donors who give out of a sense of personal connection to the mission. Because they did not work at UNICEF or a similar organization, phrases such as “children associated with armed groups” would simply not resonate. You don’t pull at someone’s heartstrings using jargon; you need to paint a vivid, emotional picture so that the audience can actually see the impact of your work. If they can see it, they are more likely to give money toward it. Success generally depends on others taking action as a result of your speech. But if you want the audience to take action, then you need to speak to them in their language. Entrepreneurs pitching a high-tech startup idea to investors or FDA scientists describing new research affecting the health and safety of the American public all face the same dilemma of needing to describe their areas of expertise in layman’s terms. While explaining your ideas in your own language is easy, describing them in a way that your audience will clearly understand takes time and effort. So how, exactly, can you accomplish this without dumbing down your research or your expertise? Before you can decide what to say, you need to know whom you are addressing. Your audience can be one person in a corner office, fifteen people in a boardroom, or five hundred people in a ballroom. Are they peers, direct reports, or your company’s leadership team? What is their professional background: are they parents, business executives, or lawyers? Are they all of the same nationality, or are they a diverse group? Having identified your audience, you will know whether they speak the specialized language of your industry, of your culture, whether they understand your jargon or acronyms or the terms used in your specific industry or company. Clear away the jargon and excess descriptions. Industry-specific terms and excess descriptions cloud your speech and prevent your audience from grasping the essence of what you want to say. Think of how many terms exist in your industry or even within your company. If you use the word “development,” will your audience know if it’s about real estate, international aid, fund-raising, or software? Turn those terms into simpler, clearer language. Explain what numbers and acronyms mean. If you use the acronym SME, will your audience know if you are referring to Small and Medium-Sized Enterprises or Subject-Matter Experts? Will your audience be able to process the financial details you present to illustrate your point? If not, you’ll quickly lose their attention. This doesn’t mean you need to get rid of numbers and acronyms altogether. A simple explanation of what each acronym means the first time you use each one, or an explanation of each number’s implications, is all it takes to make sure your audience understands you. Use Quotations and Expressions that will Resonate with Them. When we speak in a house of worship, it’s customary to quote religious scripture. When we give a political speech, we often quote political leaders. The audience and context of the speech dictate our use of quotations. The same goes for expressions. At the Harvard Kennedy School in Cambridge, Massachusetts, we use the term “across the river” to refer to the Harvard Business School, which sits across the Charles River in the town of Allston. We often use that phrase to describe the difference between business and government: “Well, here at the Kennedy School we look at economic conditions from a policy perspective, but ‘across the river’ they do things differently.” These phrases have a clear meaning to those “in the know” and can promote a sense of unity and camaraderie with the audience. But outside that circle, those phrases can feel exclusive or confusing. While it takes some practice and intention, once you’ve become fluent in speaking your audience’s language you’ll see a significant payoff in your results and your impact. 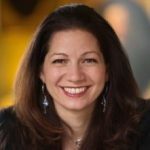 Allison Shapira, CEO and founder Global Public Speaking LLC, is author of “Speak with Impact: How to Command the Room and Influence Others“. 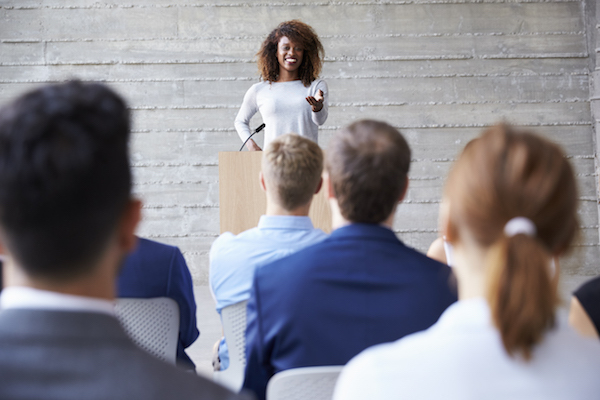 Along with her 15 years of experience coaching and training at Fortune 500 companies, government agencies, and non-profit organizations around the world in the art of public speaking, Allison teaches public speaking at the Harvard Kennedy School. In addition, she travels around the world with the nonprofit Vital Voices Global Partnership, helping women leaders grow their business, run for office, or launch non-profit organizations.